Jennifer Shenbaum has a doctoral degree in Management for Pepperdine University. Jennifer worked for over a decade as a consultant with a search firm, placing executives with Fortune 500 companies. For real estate investment, Jennifer has studied under Bruce Norris, Ward Hanigan and Alexis McGee, to name a few, having attended multi-day workshops with each of these established investors. Continual education is the cornerstone of The Shenbaum Group’s ability to provide a core set of best practices to our sellers, buyers, investors, agents, and vendors. 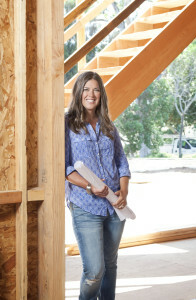 After buying a “fixer” with her husband to start their family, Jennifer got the bug for remodeling. In 2006, realizing that her dream was to start her own company doing what she loved, she founded “Lighthouse Resolutions, Inc.” From the start, Jennifer wanted to provide people with great homes at affordable prices and benefit the community as a whole in the process. Jennifer’s unequaled attention to detail and devotion to quality has become the hallmark of her company today. “Do it right and do it well” is the motto that The Shenbaum Group operates under. That is why, in 2011, Lighthouse Resolutions became The Shenbaum Group. We feel it is important to put our name on our product because we stand behind it 100%. Having purchased, renovated and sold many homes to our valued customers in the last 5 years, Jennifer and the team are constantly working to improve upon their benchmark for perfection. Produce the highest quality homes and investment properties available at a competitive market price. There is a better way to provide real estate services and renovate homes. We know after 5 years in the business that the buy-and-sell business is about much more than buying distressed properties and doing only minor renovations for a quick resale. We have built a large list of loyal buyers, real estate agents, and vendors. All of whom know that we have taken incomparable pride in every detail of work performed to provide a superior product regardless of cost or margin. We aim to ensure that we have a lasting business model that benefits our company, families and all the members of our community. Our work must always benefit and must never damage: Buyers, Investors, Vendors, Neighborhoods, and our Communities. For a limited time, we may offer our recent purchases at wholesale prices to pre-qualified investors. You will NOT find these properties on the MLS! You must sign-up to be one of our preferred investors. We need to know your investment criteria and your strength in closing on a property, before we can offer you any of our properties. Both an honor and a humbling experience, Jennifer Shenbaum was awarded the 2010 Historic Preservation Award for a buy-and-sell property in Pasadena, California. The rehabilitated property was selected among hundreds of entries because of the restoration, preservation and beautification that the property brought to the City of Pasadena. Jennifer was also recognized for this effort by California State Senator, Carol Liu, and California Assemblymember, Anthony Portantino.